What is Voice-Over? How to Perform a Voice-Over? Voice-over is the process of performing a voice-over by the voice-over talents in a Voice-over Agency’s Voice Bank who have various tones of voice, in accordance with the spirit of any text. Of course, the voice-over we are talking about here is performing the voice-over according to certain vocalization rules and intonations. So what are the rules for voice-overs? For example, the text to be performed is a documentary text. Considering the voice and style of each voice actor, the voice director usually chooses the voice of the documentary accordingly. Another example is that ad text requires more emphasis and intonation, as these texts will be more introductory and sales-oriented. The voices you are familiar with in the media are the voice talents who pay attention to these intonation and highlights. 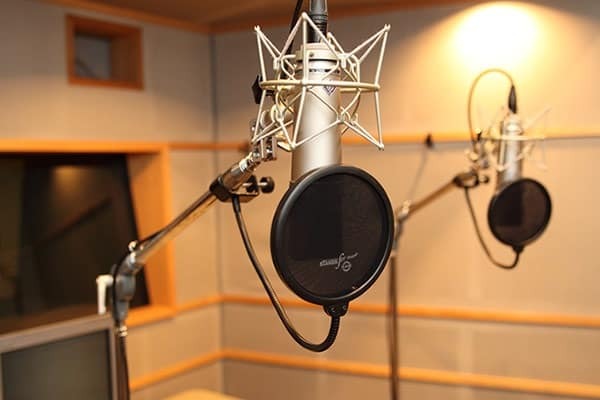 Voice-over is the process when the voice talent reads the text that he / she will pass through the microphone in the studio, within the framework of certain rules. What Are the Differences Between Voice-over and Dubbing? The difference between voice-over and dubbing can be expressed as follows. Voice-over is the text to be spoken is to be read in conjunction with specific tones and highlights that are independent of a character. Dubbing is the process of a re-voicing a character or dubbing th translated version of a foreign character. While theatrical talents are more prominent in dubbing, the characteristic sounds are more prominent in voice-over. While the voice-overs can only be performed by voice talents, dubbing can be performed by almost everyone easily. Dubbing can sometimes be performed with a voice that is suitable for your voice-over a video in a foreign language, and it can be performed by giving a voice to a Turkish-voice which is disliked. While performing Turlish dubbing to an originally Turkish video, it is necessary to perform the lip syncronization process. To summarize, dubbing can be done easily by almost everyone, while voice-over should be performed by professional talents. To be a voice-over talent seems to be a delightful work that adorns most people’s dreams. Indeed. So, what conditions should be appropriate to become a voice-over talent? First of all you have to complete a good diction training. Support can be obtained from voice-over courses.Then it is necessary to gain experience in the field of voice-over techniques. In this regard again, voice-over courses and internships in various studios are among the musts. Voice-over artist is a person who has less experience than the voice-over talents but is qualified for voice-over. Voice-over talents are the ones who gave voice to thousands of projects. To start voice-over and to improve yourself in this field, it is necessary to love your job and work steadfastly. In addition, performing a few projects will not make you a singer or a voice-over talent, but it should be noted that the biggest share in this success is in the voice director. What Are the Voice-over Techniques? There are techniques that should be considered when performing a voice-over. We can say that the intonations and tones are combined with the sound color and then transferred to the microphone from there by the sound card into the digital recording medium. The Voice-over Artists are the ones who make the best use of the sound and of the diaphragm and head voice. Dictation, diaphragm and head sounds are combined to create a good sound. Head sounds are among shorter sentences and texts, and diaphragm is more suitable for long sentences and longer texts. Diction is not a spelling language but a speech and voice language. For example you should be very careful while performing a voice-over, you should use the correct intonations, your accent should be clear and you should speak fluently, understandably. Again, certain diction rules can be taken as a result of specific training in voice-over courses. After a certain time, our daily conversation will be familiar with the rules of diction. It should not be forgotten that our tongue is composed of muscles and we can train it. There are also rhymes between one of the exercises that are essential for the development of the tongue muscles. The more repetitive it is, the more uniform the diction is. How to Register a Voice Cast? The Voice-over Cast, which is part of the Voice-over Agencies, consists of voice talents with various voice colors, and voice actors. The voice cast is also called the voice bank. In order to be able to register to the voice cast of a voice-over agency, it is necessary to have completed the vocal training, to have a certain experience in the field of voice-over in the sector. Voice-over applicants are required to apply for specific training courses from voice-over courses and then apply to the Voice Cast of Voice-over Agencies after a specific internship period. If we underline an issue that should not be forgotten, it is imperative that Voice-over talent candidate should have a talent more than his interest in this work. So if one asks ‘I love the voice-over, but my voice is not good, would the voice-over course help me to have good voice?’, they should know that the course have no effect on one’s voice or voice tone.